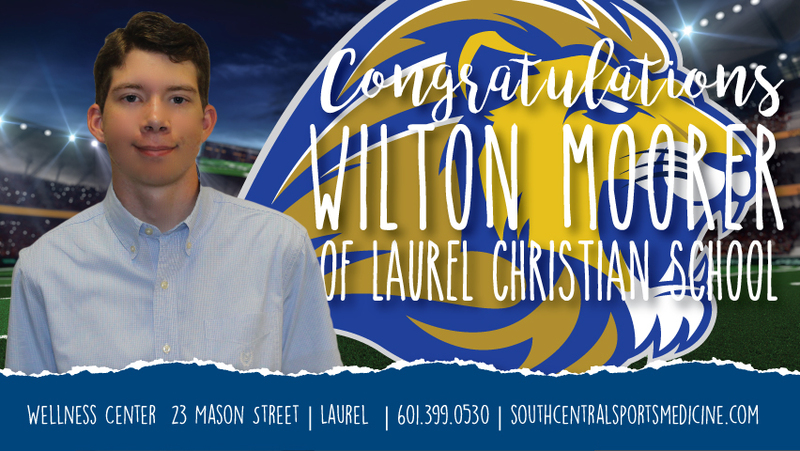 Wilton Moore, Senior at Laurel Christian School, was selected as South Central Sports Medicine Athlete. Wilton plays golf at LCS. After graduating, Wilton hopes to major in Aerospace Engineering at the University of Alabama at Huntsville. Wilton’s desire to compete, to excel, and to be the best that I can be is what motivates him. His goal for the 2018-19 season is to win the state MAIS golf tournament. Wilton looks to his grandfather because he has always taught Wilton to do his best and work hard. “Proper preparation prevents poor performance” is advice Wilton would give to younger athletes.